Vivek is a phenomenal comedian plus performer as we all know. Being a student from Iyakkunar Sigaram K.Balachander's school, no second thoughts about his performance. 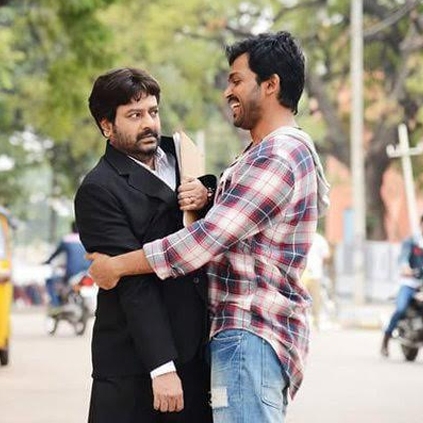 Apart from doing comedy roles, Vivek has also donned many supporting characters. The new role Vivek has started to do is the 'father' role. Yes. He will be seen as Karthi's father in Kaashmora and then as Hiphop Tamizha's father in Meesaya Murukku. It is healthier to see a leading comedian do supporting characters as per the script's demands. Is Vivek, the new father of Kollywood? Well, let us have to wait and watch. People looking for online information on Kaashmora, Vivek will find this news story useful.